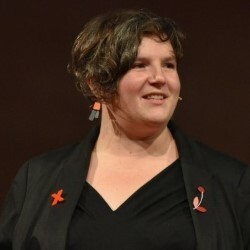 My name is Nicola Osborne but you may also know me as @suchprettyeyes or Eurovision Nicola or as the Jisc MediaHub Service Manager / Digital Education Manager at EDINA (and previously Social Media Officer there from 2009-2015) depending where on the web has led you here. Welcome to my site to gather up and sort through all of my other stuff, identities and spaces on the web. You will find all the stuff associated with my work and my studies here as well as my love of Eurovision, cooking and film. Diana, thanks for leaving a comment here. I’m just about to send you an email from my work account – the best one for social media questions! 🙂 – Nicola. I saw from Twitter that you are a film fan/reviewer. I’ve been checking out your blog site, but wasn’t able to find an e-mail. If you could e-mail me that’d be great. I’d really like to invite you to an upcoming short film premiere in London. I know it’s pretty far from you, so if you are unable to attend, I still think you’d find it interesting. Thanks! Hope to hear from you soon! Thanks, you should get an email from me later today.